Wage garnishment is a relatively harsh debt collection practice employed by creditors when other methods of debt collection have failed. Wage garnishment allows a creditor to receive payment on a debt by intercepting wages before a debtor has even received them. A creditor may be able to arrange to receive payments equal to a significant percentage of a debtor's wages, generally anywhere from 10% to 25%. Scary thought, isn't it? If you are seriously behind on a debt, don't panic yet! Because garnishment is such an intrusive solution, wage garnishment must be court ordered. In order to receive payments in the form of wage garnishment, a creditor must first receive a judgment from the court. As a result, wage garnishment is typically a last resort; many creditors may not even bother with taking a case to court, especially where a relatively small debt is concerned. If a creditor wins a judgment against a debtor and the court grants him the right to garnish wages, the sheriff will deliver the wage garnishment documents to the debtor's employer. The debt will then be handled through the employer's payroll department, which will institute automatic withdrawals (the way income tax and social security are automatically deducted from each paycheck.) An employer will generally be required to provide the employee with documentation regarding the wage garnishment. Because this process involves a debtor's employer, a debtor will not often feel he is not only losing money; he is also losing face. Wage garnishments are more likely to be seen in response to certain kinds of debt delinquency; generally, back taxes, defaulted student loans and missed support payments such as child support and alimony are more likely to trouble debtors with wage garnishment. Still, other kinds of creditors may also be able to win a judgment against a debtor and obtain a court order for wage garnishment. If your wages are being garnished, there are some steps you can take to make the situation easier to deal with. If your wages are garnished, you may be able to convince the court to lessen the payments by explaining your financial situation, living expenses and efforts you have taken in the past to address the debt. If you are thinking of going this route, you should file a claim of exemption immediately upon receiving the paperwork about the wage garnishment from your employer. Sometimes you will have only a limited time after the court order is entered to file a claim for exemption, and while you wait to be granted a hearing your wages will continue to be garnished; the wait for a hearing could last as much as one or two months. Wage garnishment for payments such as child support could exceed 25% of a debtor's income. If your income after the payments are deducted is not enough to survive on, you may be able to petition a court to lower the payments. If this won't help you, you can also try negotiating with the debt collector to stop the wage garnishment. Once they've gone to the trouble of suing for a wage garnishment order, a creditor is not likely to agree to stop garnishing wages unless the debtor agrees to pay more than the amount being deducted from each payment. If you offer a lump sum payment to settle the debt completely, however, the creditor may agree to a much smaller overall amount paid, so it is worth attempting a negotiation if you think you can settle the debt. 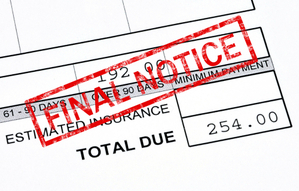 Wage garnishment is a major headache; it is best to avoid it altogether. If you find yourself in serious financial trouble, it's best to take the situation in hand NOW rather than allowing it to spiral out of control. Remember that filing for bankruptcy protection can help you take care of debt by allowing you to discharge it outright. Bankruptcy can also help by freeing up income from dischargeable debts to put towards your other payments. With your situation in hand, you can prevent wage garnishing from ever troubling you in the first place. Fortunately, at least if you live in North Carolina, wage garnishment is generally not allowed. There are important exceptions: Wage garnishment is allowed to collect back taxes, alimony, child support and some types of student loans. Lucky enough to live in North Carolina, but still suffering under a mountain of debt you simply can not get a handle on? Or, need to stop an overly burdensome tax or student loan garnishment that is simply "taking too much"? You may want to consider filing bankruptcy and when you do, think the Law Offices of John T. Orcutt, an established bankruptcy law firm offering a totally FREE initial consultation out of 4 different offices: Raleigh, Durham, Fayetteville and Wilson. Just call toll free to 1-888-234-4181 or visit their website: www.billsbills.com .